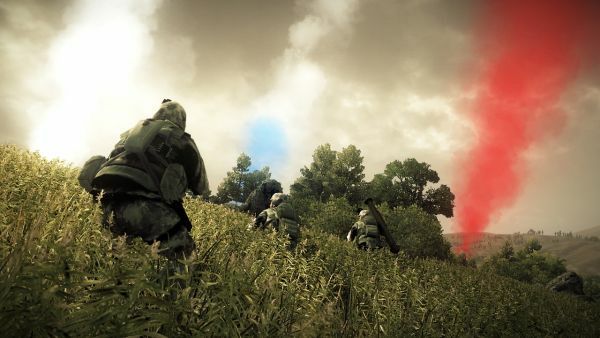 The first content pack for Operation Flashpoint 2 has been released. Dubbed Overwatch, the content pack adds two new multiplayer modes and two new co-op missions. The first of the two versus modes are Blindside; where the PLA must complete objectives in the shortest time possible while the USMC defends in tense, tactical engagements. The second is called Supremacy; which tasks opposing forces to occupy strategically vital positions featuring force multipliers like gun emplacements and air strikes. The two co-op additions are called Friendly Skies and Hostile Take Over. The former has US airborne reinforcements inserting into the combat zone under artillery fire, followed by a counter attack. The latter involves holding an enemy village from a vicious assault. The DLC is out now on the Xbox 360 for 400 and later this week on the PlayStation Network for $4.99. PC owners will get the content free "soon."